Brain tumour. Coloured three-dimensional model of the head of a 43 year old woman, made up from numerous magnetic resonance imaging (MRI) scans. The model is cut-away to reveal a low grade glioma tumour (red), a central nervous system tumour that arises from glial cells. About half of all primary brain tumours are gliomas. Low grade gliomas are slow growing tumours, which are much less likely to come back if they can be completely removed surgically. 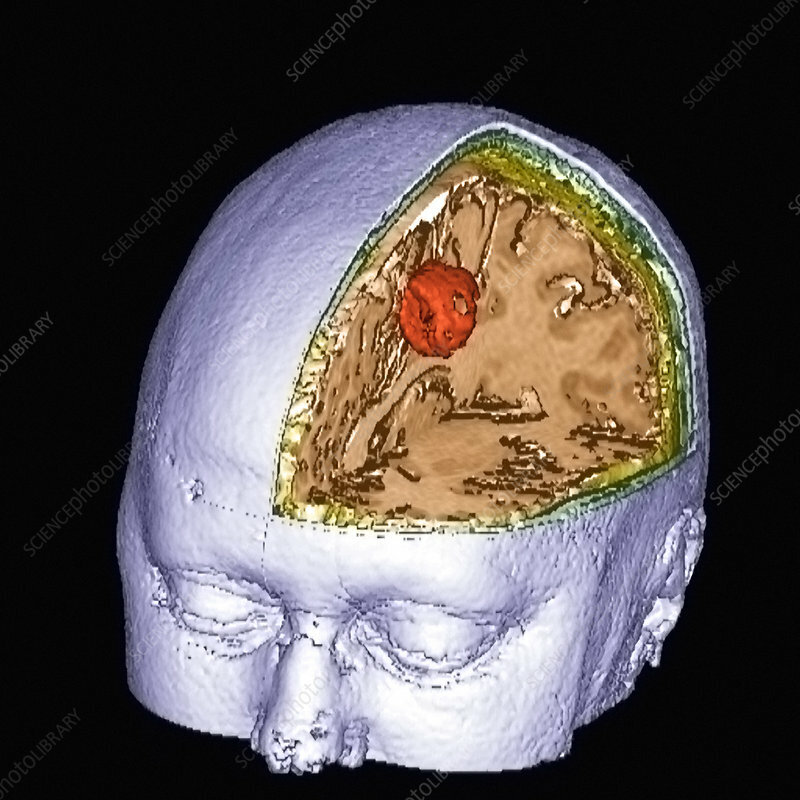 Radiotherapy may be kept in reserve as a treatment for if the glioma returns. MRI uses radio waves and a magnet to obtain "slice" body images.